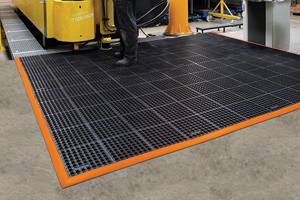 The TRP120S series profile depths are 120mm deep and are available in widths up to 720mm, other widths are available on request and feature a capacity up to 26,300kg. 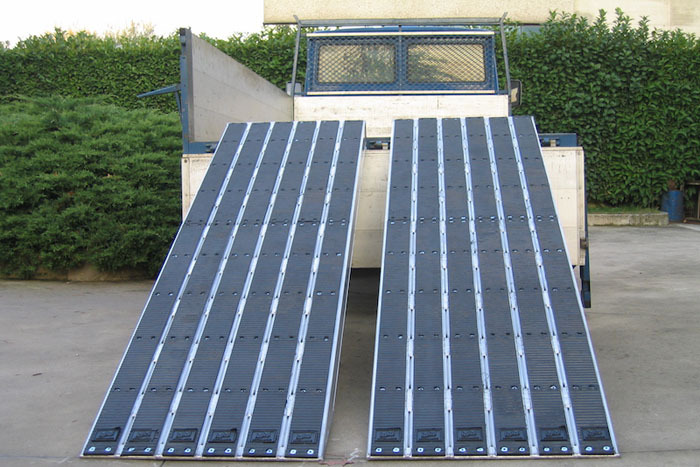 Perfect for all industrial industries, our TRP120 series aluminium loading ramps come with industrial strength rubber coating; providing sustainable grip for steel rollers, plant vehicles and all similar machinery. 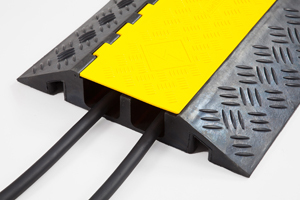 The TRP130 series profile depths are 130mm deep and are available in two different widths, 450mm and 600mm. 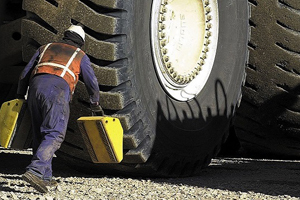 They feature a capacity of up to 58,000kg. 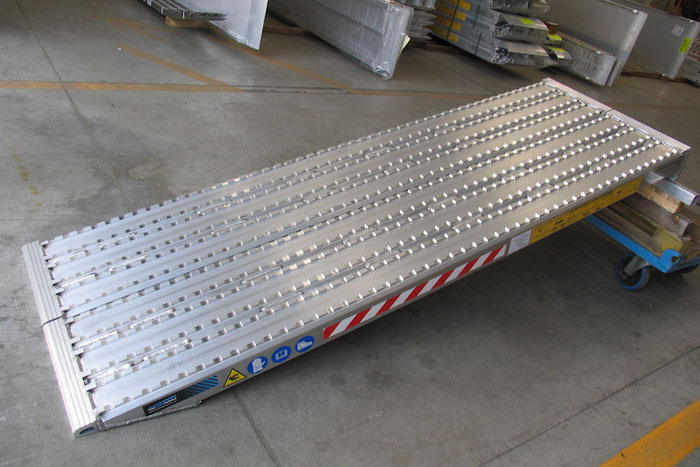 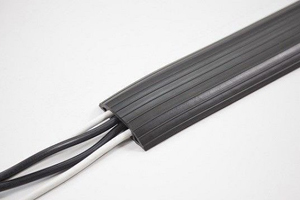 Perfect for heavy duty industrial machinery with steel tracks. 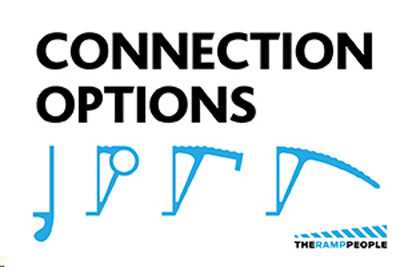 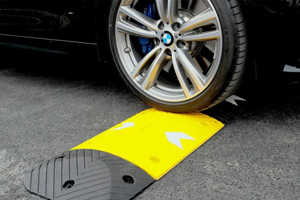 Both ramp series are only available without edges. 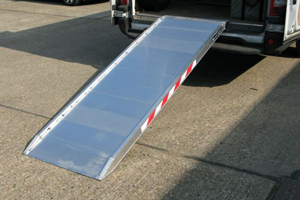 The range of industrial ramps is designed for heavy steel, full track machines and factory machinery. 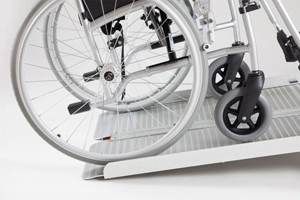 We offer two different types of industrial ramps, rubber-coated surface ramps and milling surfaces. 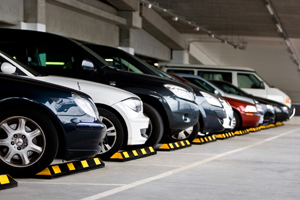 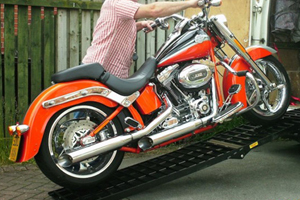 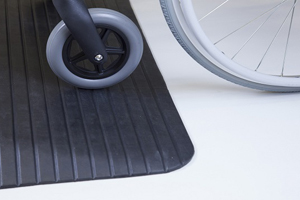 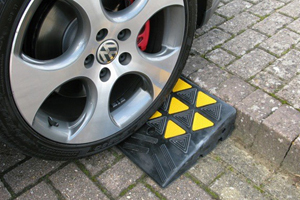 Available in different widths and lengths, they offer capacities of up to 58000kg and are our strongest ramps.